Stable - property matters. An intelligen­t approach to managing your residentia­l property portfolio. We are rental specialists - anything to do with property. Leasing, inspections, project managing renovations, end to end management & appraisals. We service the Wellington and greater Wellington region. Jenna and I are available to you anytime, anywhere. 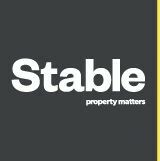 At Stable - property matters we do everything you'd expect from a property management company, but smarter. We'll work to maximise your returns and take away the pressures and responsibilities that are part and parcel of owning a rental property. You'll find we're a pleasure to deal with, absolutely reliable - and that we know this business inside out.